This is a one of my favourite chutney. I love to eat this with hot steaming boiled rice, no need of any other curry. My grand mom used to prepare this best. In my childhood days during vacation time all kids have to eat pajje jovan(Kanji/rice soup) at 10.00 am as brunch. It was like a tradition and all the members present at that time used to do it. I think nowadays no one knows about this or eat this. For pajje jovan side dishes would be chutneys and upkaris like vegetable peel chutney’s, vegetable peel upkari(stir fry) and different types of pickles. It was really fun to sit together in a row or circle on the floor and along with gossips and jokes we used to relish our Pajje Jovan. Peel skin of 1 ridge gourd chop peel into small pieces and keep aside. 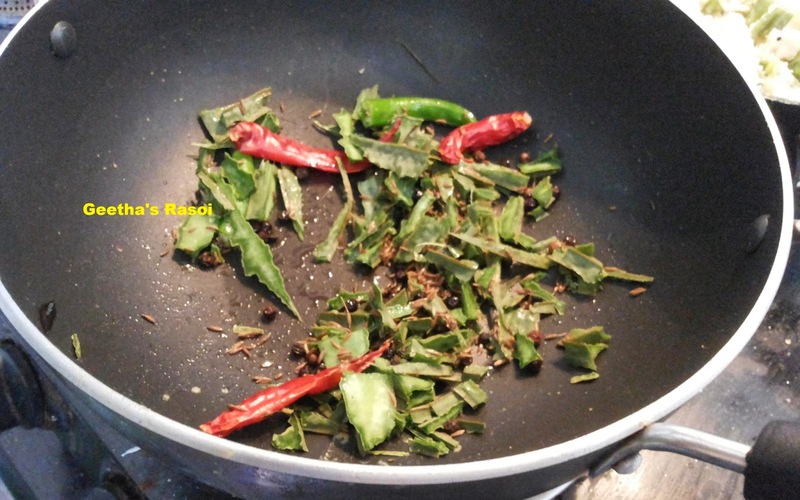 Heat ghee in kadai add jeera and pepper corn fry for while, then add ridge gourd peel sliced green chilli and red chillies fry till nice aroma comes (2 to 3 min). 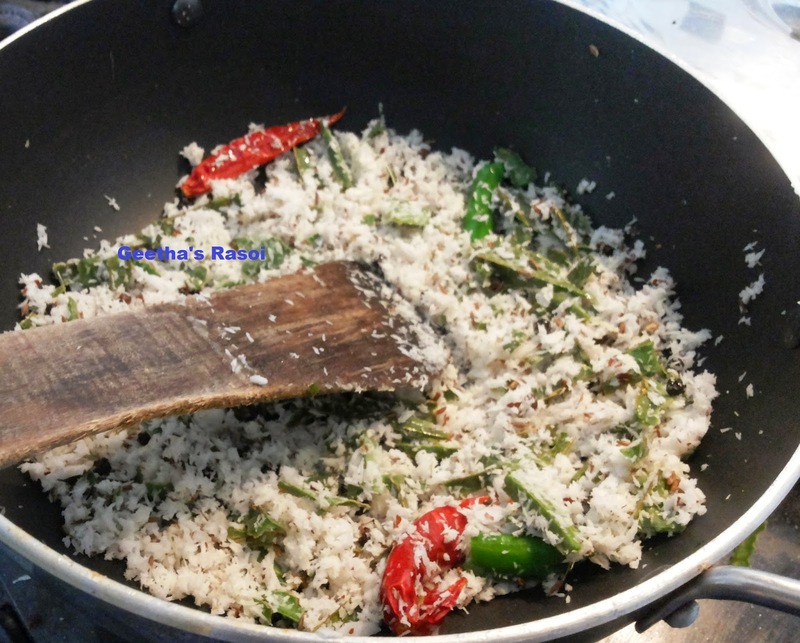 Then add grated coconut fry till goes. Then keep this aside to cool. Then grind this with tamarind and salt adding little water. 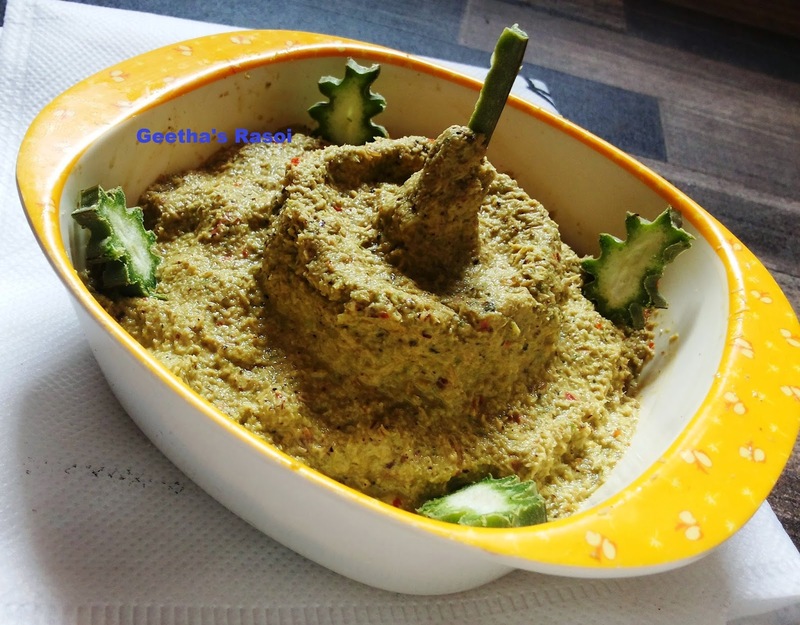 Gosale shire chuntney ready to serve with rice or dosa.